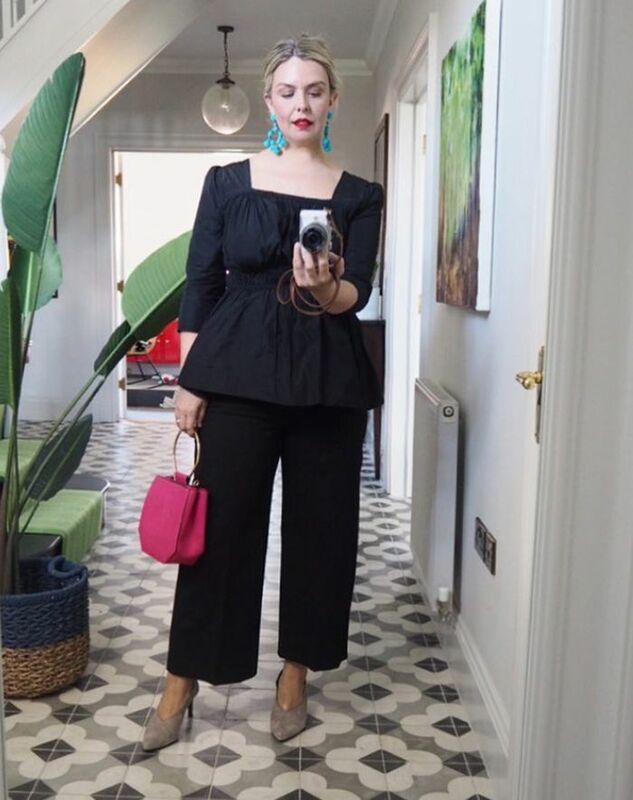 Style Notes: Erica Davies's square-neck top is only £40 from M&S. This month, we have noticed that there's a new neckline that is suddenly cropping up all over the place. Usually, when it comes to necklines, you have two options—it's either a round neck or V-neck. But now we keep spotting square necklines. This angular framing has always seemed a little Elizabethan to me, however, thanks to L.A. brand Staud, it is more 2018 than 1600. Staud has beautiful square puffy-sleeved white tops and red smock dresses, but if you're shopping on more of a budget, M&S has a square top for £40. Keep scrolling to shop our edit of the best square-neck pieces. Style Notes: Sarah Staudinger has created lots of beautiful square-neck dresses at Staud. Once you notice it, you'll keep spotting these little squares everywhere.